I wanted to share this nice note with everyone that I received from a customer along with a few before & after pictures that they sent. Thanks so much to the Rogers for sharing this with us! 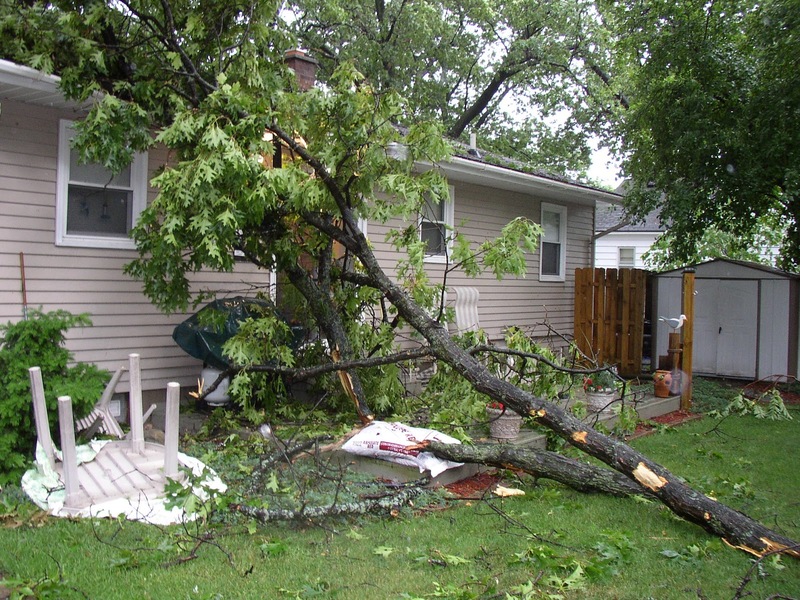 “One evening in June 2011 we experienced a severe thunderstorm with strong winds that brought down several large branches from our backyard oak tree. During the height of the storm one large branch broke through the roof and in through our kitchen ceiling creating quite a mess inside and outside. 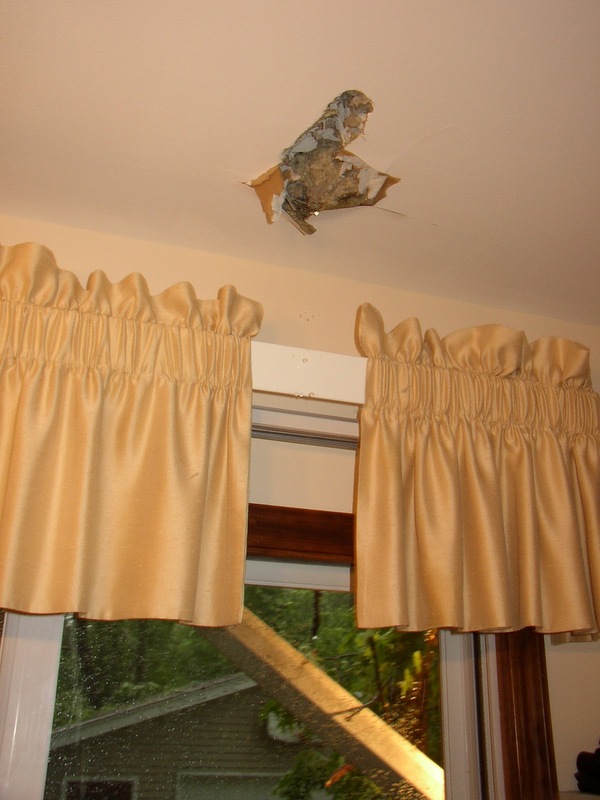 We immediately called our insurance agent, Jim Engelking of PCE Insurance, at his home and he said he’d take care of it right away. The next morning a Grange Insurance adjuster called and then came over. He spent around two hours measuring the roof and kitchen and entering data on his computer. Before he left he gave us a nice check on the spot. We were able to hire a tree trimming company to take down loose branches from the tree and haul away all of the debris, plus hire a contractor who did a temporary patch on the roof as it was still raining. The check from Grange will allow us to get new shingles put on the whole roof and any expense incurred with clean-up, along with repairing and painting the kitchen ceiling. We are very pleased with the quick and professional response of PCE and Grange Insurance and will highly recommend them to others. If you’re concerned, confused, or just plain curious about what type of insurance will best fit your needs and your budget, we’d love to answer any questions you have and provide you with a free, no-pressure quote. Call or click today to contact us!